Everything you need to know about the new companion app from Rockstar Games. Grand Theft Auto 5 hits store shelves in just a few short hours from now, but Rockstar has already released the Grand Theft Auto: iFruit companion app on the App Store. 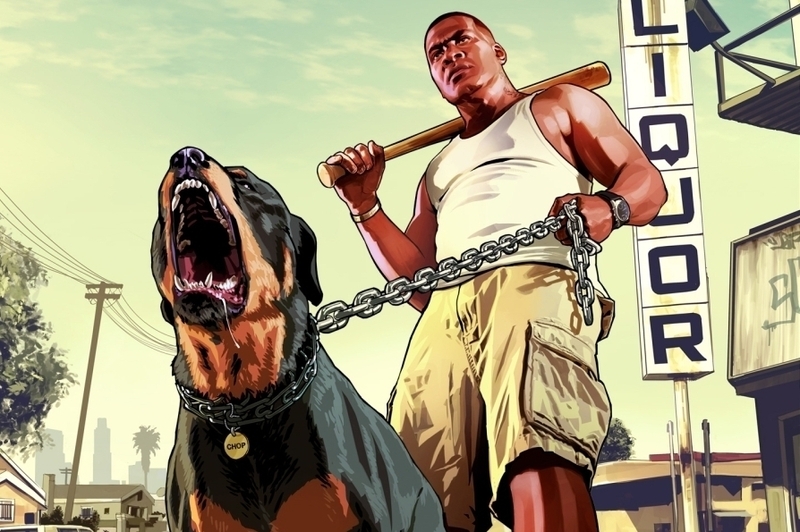 The app allows you to not only customize your rides in Grand Theft Auto 5, but also look after Franklin's dog Chop - with in-game bonuses for doing a good job. First of all, you'll need to either create an account for Rockstar Social Club, or log-in to the one you already have. If you've not created a Social Club log-in before, you'll then be asked to associate your PSN or Xbox Live account with your new Social Club account. Los Santos Customs allows you to customize vehicles on your iPhone or iPad, then use those customized vehicles within GTA 5 on your Xbox 360 or PlayStation 3. Pretty cool, eh? From here, you can choose the primary and secondary colors for your car, change the tinting on the windows, and even the color of your tire smoke. Select a more powerful engine for your vehicle here. 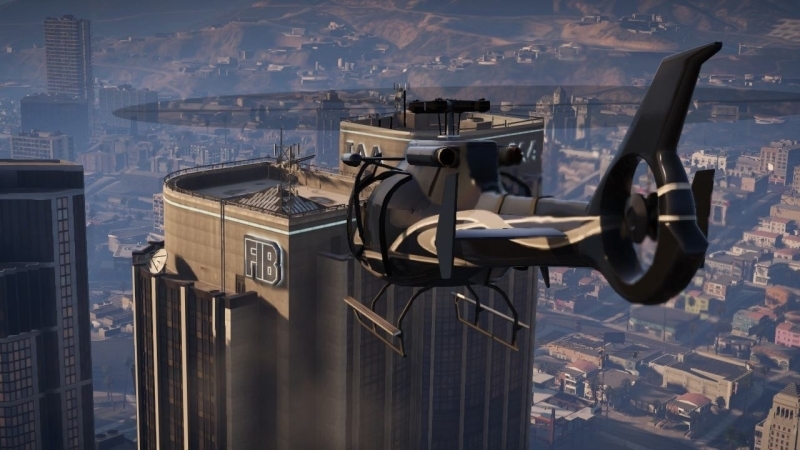 Note that certain items only unlock after you've made progress in the console version of GTA 5, and the upgrades get more and more expensive as you work your way through them. Choose between standard or street brakes from this section. This option affects the weight and handling of your chosen vehicle. These options only change the cosmetic appearance of your vehicle. They do not affect the handling of the vehicle in any way. 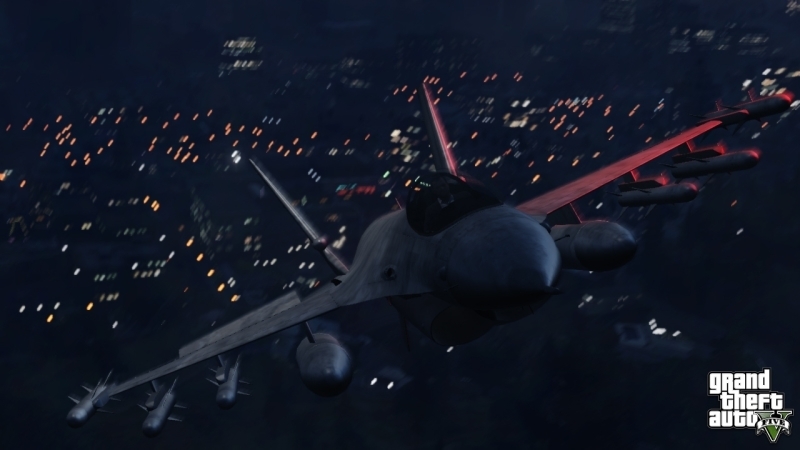 Switch up your turbo options and get an extra burst of speed around Los Santos. Improves your abilities to take knocks and prangs around town. Better upgrades cost more money. Speed and weight are both affected by the type of exhaust you fit to your vehicle. How do I change my number plate in Grand Theft Auto 5? Hit the section at the bottom of the screen marked ABC Plates, then use your device's virtual keyboard to enter your desired numberplate. How do I send a vehicle from iFruit to Grand Theft Auto 5? Once you've finished customizing your vehicle, simply hit the blue button marked Order at the top left-hand corner of the screen. How do I feed Chop in Grand Theft Auto 5? Tap the blue bowl at the top of the menu options, then drag an item of food from the top of the screen towards Chop. 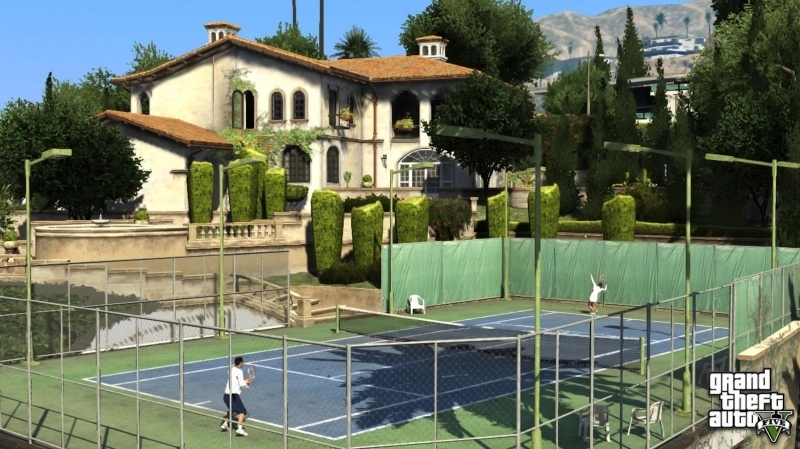 How do I increase Chop's happiness in Grand Theft Auto 5? If you feed Chop, his happiness meter will increase. Note that the meter will decrease over time, so make sure you're keeping him regularly fed. How do I clean up after Chop in Grand Theft Auto 5? When Chop makes a mess, you'll be given a glove symbol and, well, you'll need to use it to clear up after him. Hey, nobody said owning a dog was easy! Simply pinch the mess with two fingers and drop it in the trash can. How do I take Chop for a walk in iFruit? If you want to go for a stroll with your new best friend/killing machine, simply tap on the leash icon and then set a destination to take him. How do I give Chop a present in iFruit? To reward Chop The Dog for good behavior (or bad, depending on your perspective), tap on the gift icon and then choose a special collar for him. Changing the collar he wears in iFruit will also change his collar in the console game of Grand Theft Auto 5. 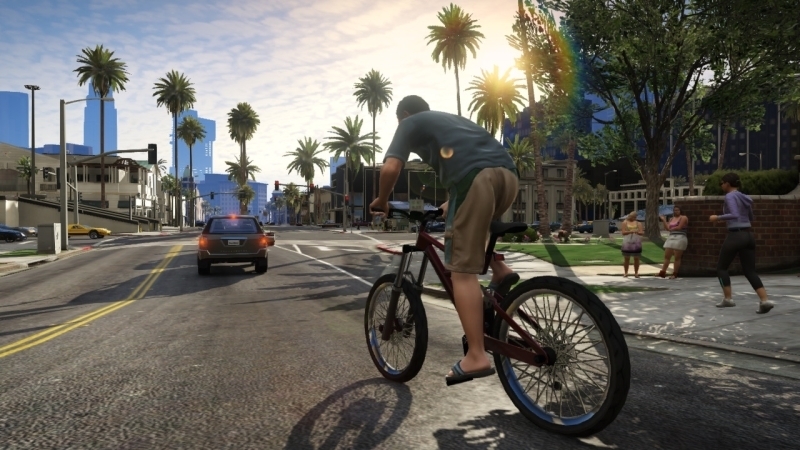 How do I teach Chop new tricks in Grand Theft Auto 5? To teach Chop a new trick in Grand Theft Auto 5, hit the brown ribbon at the bottom right of the screen, and then select the trick you want him to perform as standard in the game.